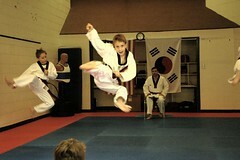 Congratulations to all students who passed the recent promotion testing. A special congratulations to those completing their Shodan test. Great Work! We are on break this week. Summer session starts Monday, June 6th. Times and days remain the same. See you there! Do your best everybody! See you there! 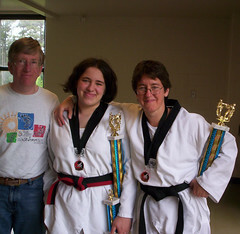 Lucy Ralston, 2nd place Forms, 1st place Sparring. Here is a map to this Saturday's tournament, held at Meadowcreek High School in Norcross. 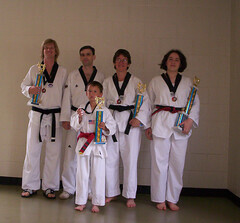 Tournament runs from 10:00am, with Black Belts first, and color belts after lunch. Do Your Best! to everybody competing.